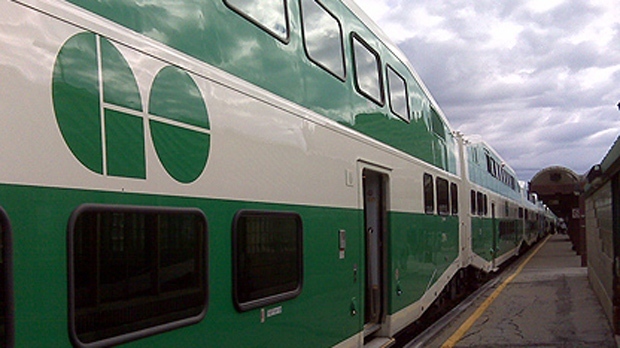 Observations from the GO Train – The Worst Mom Ever! I have a 45 minute train ride into work every morning and another 45 minute ride every afternoon to get home. For any of you who commute using any form of public transportation, you can attest to the fact that the daily commute is an excellent opportunity to people watch. These are the most disliked of the commuter group. The yappers travel in pairs and share private and personal information about themselves and others for all of their fellow commuters to hear. The worst one I overheard has to be the one where I woman was speaking very loudly to her friend about how the guy she had met in her virtual world was going to leave his family for her and that they were actually getting “married” in their virtual world over the weekend. I have to say I kind of felt sorry for her but having to listen to that crap for 45 minutes made me want to jump from the moving train. This is the largest growing population on the train. You will know who they are by the way they will be holding their phone or tablet in one hand while with the other hand, their index finger glides over the screen in a “glide…glide…tap…tap…”motion over and over again. Every so often they will exhale, lower the phone to lap level and look around. I have been able to deduce that at this point they have either lost a life or passed a level. The reader group also has subcategories. The Media Buffs read only the newspapers and magazines and will carry them in their hand. Why is that? Why is it that people are comfortable carrying newspapers and magazines in their hand or under their arm but not books? Anyway, The Readers’ overall behaviour can be compared to that of the gamer as they are completely consumed in the bubble they have created for themselves. The big difference however is that since there are no lifes to be lost or levels to pass, the reader will very seldom put the book down to look around. So what group do I fall into? I’m a snooper. I don’t know how many of us are out there because we are not as obvious. As the snooper, I am listening to the yappers conversation, I know what level the gamer is stuck on and know that that cute book cover you have with all the pretty flowers is not there to protect your book but instead hide the fact that you are reading 50 Shades of Grey, again. Ohh yes The Crazies..Thanks for reminding me. I’ll check your post out right away!